After 14 years of actively exploring the Red Planet’s surface and 15 years of being there, Opportunity’s mission on Mars may have come to an end. Yesterday, NASA’s Jet Propulsion Laboratory announced that it will be hosting a media briefing in which it will reveal the results of efforts in recovering the golf-cart-sized robot. NASA’s Opportunity rover stopped communicating with Earth last June, and for the last eight months, NASA’s Jet Propulsion Laboratory (JPL) has been trying to get in touch with it by sending over 800 commands through 35 million miles of space, all in hopes of receiving any sort of signal from the dust-covered rover. Even though the mission staff experimented and tried out new things throughout the last few weeks in order to contact the rover, they weren’t successful. They tried to urge the robot to reset its internal clock, which would have helped it recover from the “sleep mode” it had entered. Eventually, reset would have allowed it to recharge and wake itself up. Nevertheless, to this day, the robot hasn’t responded. NASA’s engineers sent a final series of recovery attempts to the rover on Tuesday night. However, if the rover doesn’t respond, the space agency will have to announce that Opportunity’s mission on Mars is officially over. NASA’s media briefing will begin at 11 a.m. PST (2 p.m. EST) on Wednesday and it will be hosted at the JPL in Pasedena, California. The briefing will be hosted live on NASA TV and the space agency’s YouTube channel. NASA said that the public will be able to ask questions during the media briefing by using the #askNASA hashtag on Twitter. Additionally, users will be able to leave a comment in the chat section of the YouTube channel. NASA sent its twin robot geologists Spirit and Opportunity to explore the Martian soil and determine whether water flowed on the planet during its geological history. 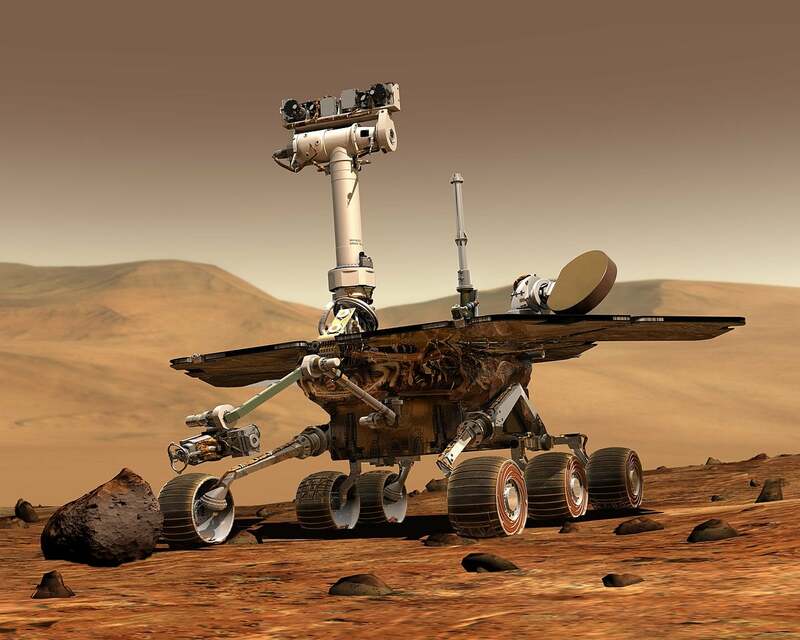 Both robots landed on Mars in the beginning of 2004. While both rovers were designed and expected to last 90 days in the Martian environment, and to travel 1,000 yards, both rovers exceeded the space agency’s expectations. Spirit traveled almost 5 miles during its 6 years of operation. However, it got stuck in the powdery soil of the Gusev crater and its mission finally concluded in 2010. On the other hand Opportunity continued its exploration and by June 10, 2018 when it went into sleep mode due to a global dust storm on Mars, it managed to travel 28.95 miles. However, now Opportunity’s mission on Mars seems to have come to an end.